90-Day Satisfaction Guarantee – Try it, love it or your money back! The Pelican 3-Stage Drinking Filter features 3 stages of filtration: 25 Micron Prefilter, and 2 Catalytic GAC Carbon filters in a compact, easy to maintain mainfold. 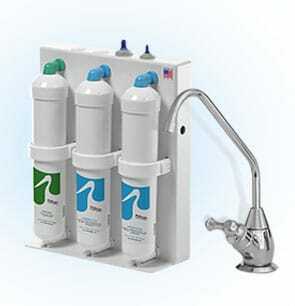 The Pelican 3-Stage Drinking Filter uses the latest in system design and filtration technology to filter taste and odor issues from your water without wasting water down the drain, leaving you with cleaner, fresher, healthier water. The Pelican Drinking Filter has a smaller footprint and uses significantly fewer resources in the manufacturing process than the typical 3-stage systems . Smaller packaging and a lighter shipping weight further reduce impact on the environment. 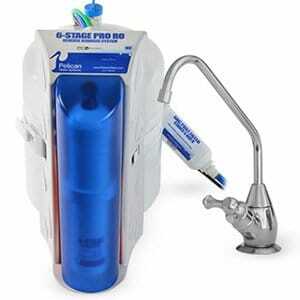 Better Water – Filters over 60 contaminants including lead (taste and odor), chlorine, VOC’s and Microbial Cysts. 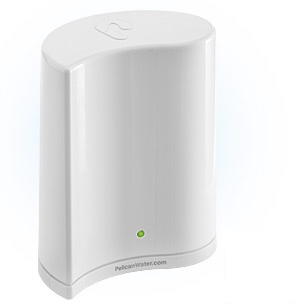 Easy Installation & Filter Change – The Pelican system is easy-to-install and achieves up to .5 gallons per minute of filtered water. No more bulky pitchers taking up space in your fridge and changing your filter is simple!. Green Technology – This system will eliminate the need to buy bottled water, allowing your family to help with serious environmental issues. Rinse your vegetables and pasta with filtered water directly from your tap. Designed to reduce unpleasant odors for better tasting coffee and tea to start your day.